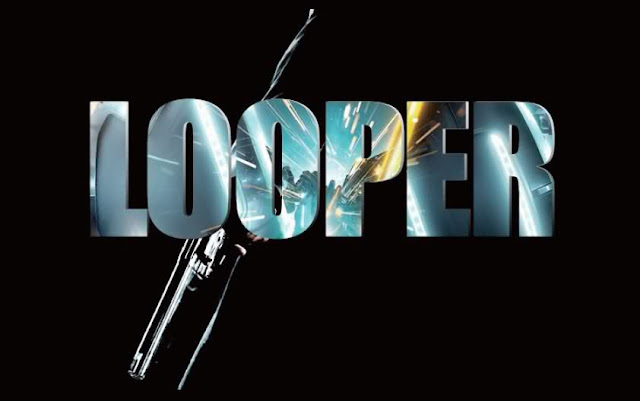 In the futuristic action thriller Looper, from writer/director Rian Johnson (Brick, The Brothers Bloom), the mob uses time travel to get rid of someone by sending their target 30 years into the past where a hired gun (known as a “looper”) is waiting to assassinate them. 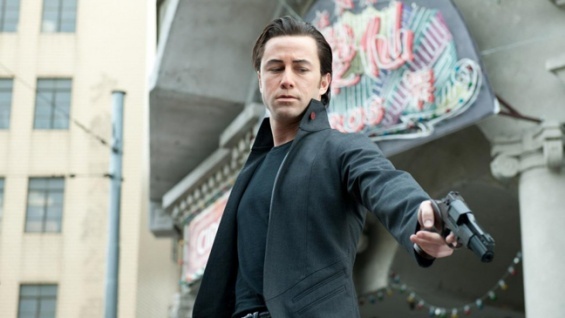 And then, one day, a looper named Joe (Joseph Gordon-Levitt) suddenly recognizes one of his targets as his future self (played by Bruce Willis). The film also stars Emily Blunt, Paul Dano, Piper Perabo and Jeff Daniels. Q: A lot of times, it’s hard to find the audience for a film and get people interested enough to go out and see it, but with this, people are clamoring just to see the first possible footage. What does that feel like? How gratifying is that? GORDON-LEVITT: It’s nice. I love movies. I don’t just like them, I love them. So, to be somewhere like WonderCon, amongst other people who feel that strongly as well, is exciting. JOHNSON: We were talking about the push and pull of how much you tell and how much you hold back. When I see a news story on a site, about a movie that I’m interested in, it’s like the mouse going for the pleasure button and I click it. But then, when I see the movie, it’s like, “Oh, I would have enjoyed the movie that much more, if I hadn’t known that.” For me, this is the first time I’m working with a movie where there is that thing of, “How much do we give away? How much do we tease?” It’s an interesting process. Q: So, what can you tease about this movie? JOHNSON: The first big thing is how Joe plays a younger version of Bruce Willis, with the prosthetic make-up on him. We slathered his face with uncomfortable gunk. JGL: It took almost three hours to apply the make-up. It’s a different face, and that was obviously the foundation of the character. Well, that’s not true. The foundation of the character was just Bruce [Willis], and studying him, watching his movies and listening to his voice. For me, it was definitely one of the more interesting challenges I’ve ever tackled, as an actor. I think I could probably say that it’s my favorite performance of my own. Q: Since the role was written for Joe, how did you decide that Bruce Willis would be the right actor to play the older version of the character? JOHNSON: I had already written it for Joe, and then we cast Bruce in it, and then we dealt with, “Okay, how do we figure this out?” As our ingenious make-up designer pointed out, they actually look very dissimilar. They don’t look alike, at all. So, our approach was to pick a couple key features and alter those. When Joe showed up on set and started shooting, I was still very, very nervous ‘cause we had committed to this extreme make-up and it’s not like we had totally transformed him, so that he looked like Bruce in Moonlighting, or something. It was a hybrid. But, when Joe kicked in the performance, I knew that was going to take it a long way. It was amazing how much of a transformation there was, once Joe started doing the voice. The other thrilling thing about it, for me, was that it wasn’t imitation. He created a character, but it was a character that could be a young Bruce Willis. It was an amazing high-wire act that Joe was pulling off, every day. For me, it was just really fun to watch. 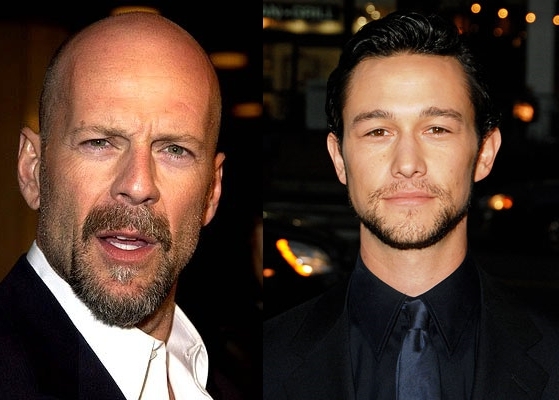 Q: Did you and Bruce Willis meet and talk about how you were going to play the same character? 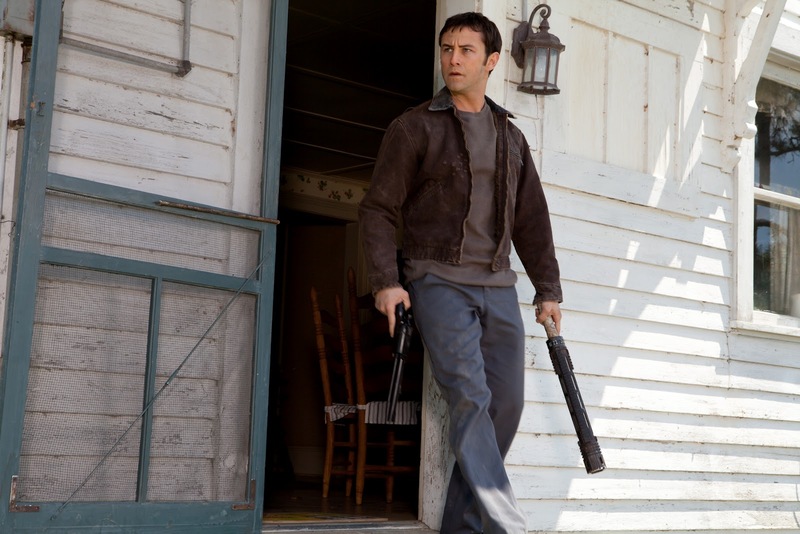 JGL: I based my character on him. I watched his movies, and I would take the audio out of his movies and put it on my iPod, so I could listen to him. But, most of all, I just got to hang out with him, have dinner, have conversations and get to know him. It was a fascinating challenge because I didn’t want to do an impression of him. First of all, I’m not a good impersonator. Second of all, I just didn’t think that would be appropriate. It’s not a comedy. But, creating a character that was more him than me was fascinating. Then, we had this special effects makeup, every morning, for three hours, so my face is not my face. To look in the mirror every day and see someone else’s face was a trip. It was sort of a dream. As an actor, what I get off on most is becoming someone else. Q: What did you learn about Bruce as you were studying his work, and what was the biggest challenge for you? JGL: Bruce is actually a very understated guy. It’s interesting because he’s such a large personality that your first instinct is to try to be large. But, in fact, he draws a lot of his power from stillness, and he actually speaks quietly. It tricks you, at first, because you wouldn’t think that he speaks quietly because his voice makes such a powerful impression. It took me a second to figure that out. I do think that a lot of the closest moments that I got him were actually the quieter, stiller moments. Q: Was the plan always to have two different actors for the older and younger versions of this character? JOHNSON: Initially, when I cast Joe and we were talking about it before we had cast Bruce, we were talking about the option of just doing make-up or something else. JGL: The egotistical actor in me was like, “Let me do both!,” but I’m so glad that’s not what we did. JOHNSON: The reason that I actually came down against it was twofold. First, I think with aging make-up on younger actors, I don’t feel like I’ve ever seen it completely work. There’s been some tremendous work that’s been done, but I feel like, if you know what an actor looks like who’s young, as a movie-goer, I can usually see right through it. The bigger thing for me, and what emotionally pulled me into the movie, was the idea of a young man sitting across from an older man, who’s himself. You can make someone up. Joe is a fantastic actor. But, there’s something about a span of 25 years between two people that you can’t fake. That just buys you something that’s intangible and very essential to what this movie is basically about. And so, I thought it was really important to have two actors actually sitting across from each other, with that age gap between them. JGL: And there’s no way that I could have delivered the character that Bruce did. 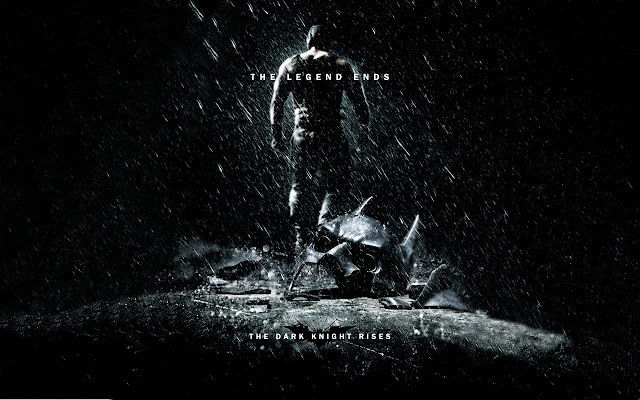 Bruce is magnificent in this movie. He gives a really strong performance. That’s not something I could have done, at all. Q: How would you describe the universe of this film? Q: With time travel comes rules. Did you start from scratch to create your own idea of how time travel works, or were you influenced by other methods? 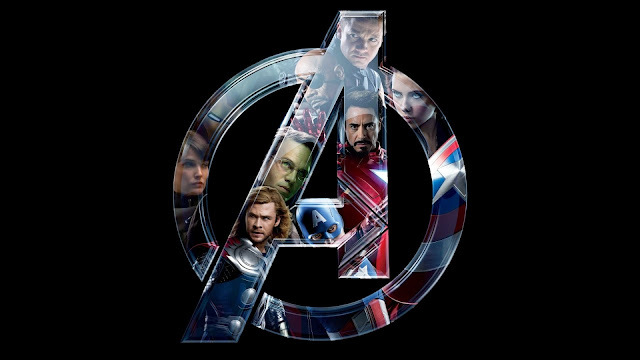 Q: Have you thought about this film as a franchise or possible sequels, or are you just focusing on this film? JOHNSON: I don’t think about it. I don’t think in those terms. Storytelling wise, you’ve gotta take it as far as you can possibly take it with each individual movie. If you’re holding out something for a sequel or some cliff-hanger, that’s not how I think of a satisfying story. JGL: It’s a very complete story. Rian doesn’t write stuff with money in mind. It’s not that kind of process. Q: Could you see the character continuing to grow, in additional stories? JOHNSON: I’d be curious to hear your answer to that, once you see the film.